TRNSMT is expanding for 2018. Over two consecutive weekends, Glasgow Green will make room for headliners Stereophonics, Liam Gallagher, Arctic Monkeys, Queen + Adam Lambert and The Killers. Much like last year, it's an indie-heavy lineup featuring the likes of Courteeners, Interpol, Blossoms, Chvrches and Franz Ferdinand, with a smattering of pop (Jessie J / Sigrid), hip hop (J Hus / Krept x Konan) and full-on rock (the Darkness / the Temperance Movement). 'I can't think of many people who aren't fans of Oasis,' states Wolf Alice bass player Theo Ellis. 'Liam Gallagher's a right laugh in' 'e? You can't really knock him.' Which is lucky as Wolf Alice are on warm-up duties for the Britrock icon and motormouth quote machine. Over two albums, Wolf Alice have proved they are one of the most exciting young bands in the UK, grounded in indie rock but taking trips to the outer limits of grunge via side-steps into heart-breaking folk. 2015's debut album, My Love is Cool, was powered by the fuzzy 'Giant Peach', the punk punch of 'You're a Germ' and the blissful melancholy of 'Swallowtail'. This is just the latest stage in Wolf Alice's evolution. They started as a two-piece centred around vocalist / guitarist Ellie Rowsell and guitarist Joff Oddie, with bassist Ellis and drummer Joel Amey joining as the band's style became harder, heavier and more distinct. 'Our ideas were quite ambitious and what we wanted to achieve as a band was quite ambitious. We always had belief in ourselves even when we were awful,' laughs Ellis. 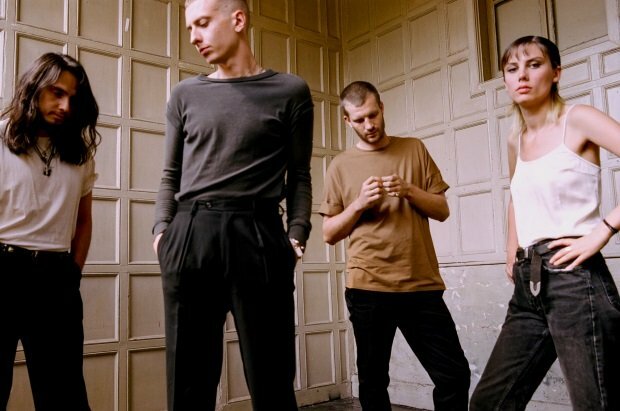 TRNSMT Festival, Glasgow Green, Fri 29 Jun–Sun 1 Jul, Fri 6, Sun 8 Jul; Wolf Alice play on Sat 30 Jun.